When it comes to working on triceps, a deidicated bar is needed. 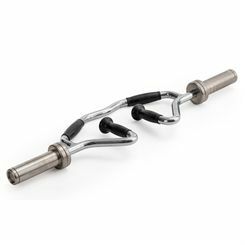 Sweatband.com stocks a range of tricep bars fro brands such as York and Golds Gym.The Golds Gym SureLock Triceps Bar has a very durable chromium finish and the York IB-36 by design is one of the most balance tricep bars available on the market. 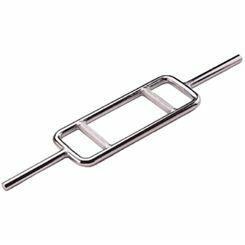 All of our tricep bars are delivered free and fast and are available at unbeatable prices.